You don't see many bookstores opening nowadays. 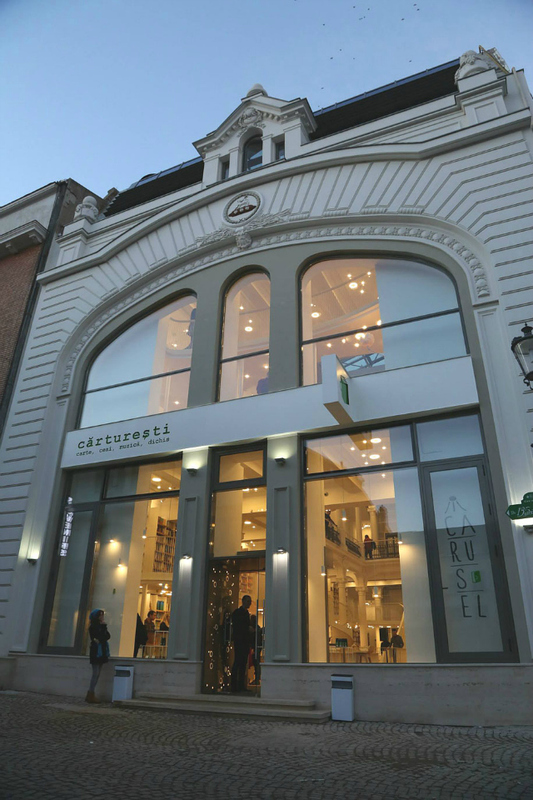 But, Carturesti Carusel ("The Carousel of Light") just opened up in a historical 19th century building in Bucharest, Romania. 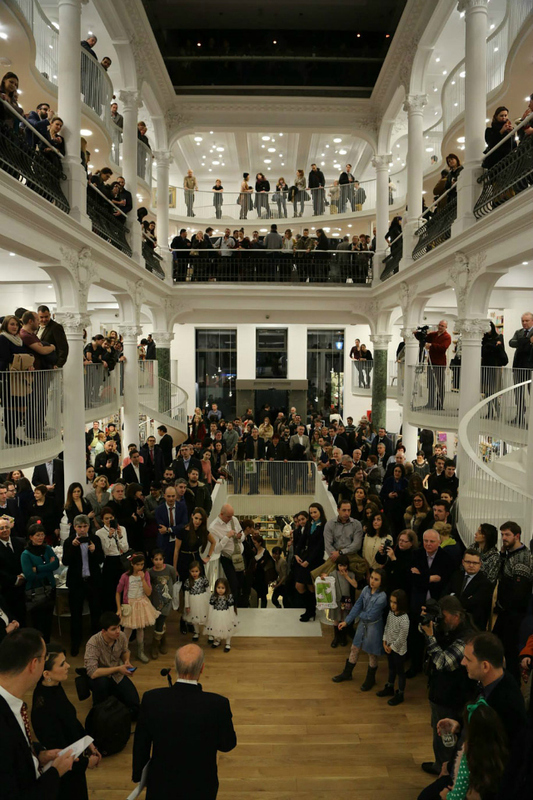 The building was formerly a Chrissovelloni bank (that closed in 1948), a men's clothing store (during the Soviet years) and then restored by Jean Chrissovelloni (great grandson of the 19th century banker) who leased the building to Carturesci (bookstore chain). 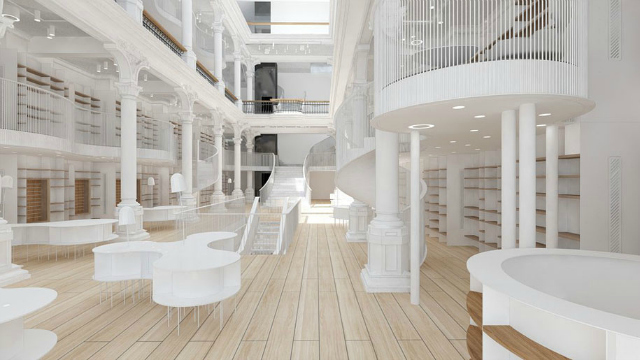 Rather than trying to modernize the building, the six-story bookstore is reminiscent of a fairy tail like setting. 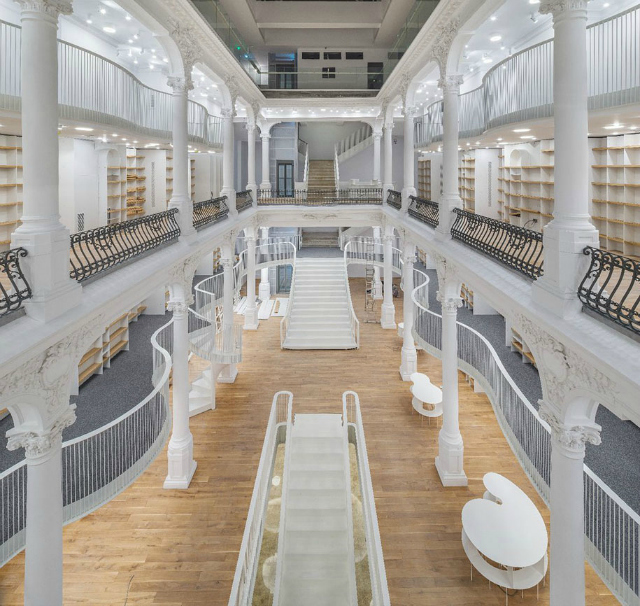 The combination of the white interiors and 19th century architecture creates a beautiful space. Inside, there are over 10,000 books and 5,000 albums/DVDs. The top floor features a bistro, the basement houses a multimedia space and the first floor contains a modern art gallery. To keep up with current events, the bookstore will play host to several cultural events and concerts in the area. The store recently opened on February 12, 2015. Pretty dreamy, right? This space does have a lovely fairy tale feel. It looks so different when it's filled with people. Great pictures! I can't imagine someone putting all the effort into a bookstore, though, with online sales and e-readers on the rise. 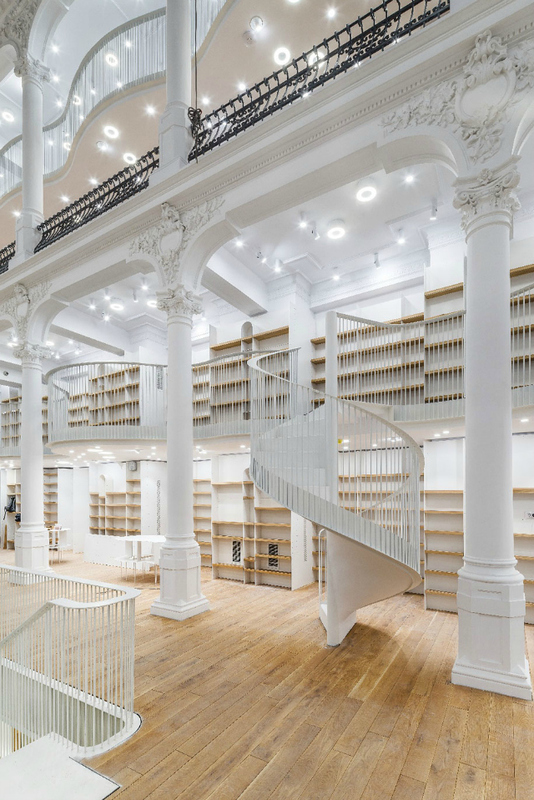 What an absolutely gorgeous store! So full of light. Wow, this place is so beautiful. I wish I could visit it. This looks so pretty! I love all of your pictures! 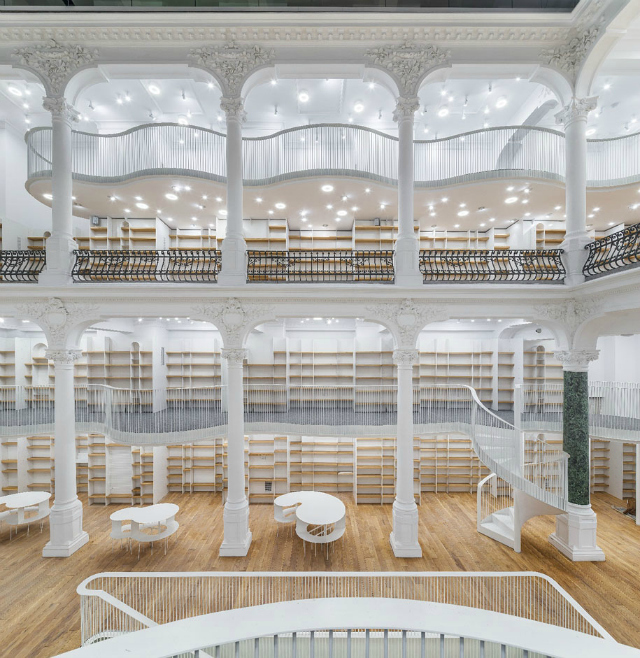 Oh my goodness, that seems too gorgeous to be a bookstore!